The TB Vets Charitable Foundation has donated $25,000 to the Victoria Hospitals Foundation to purchase a new pulmonary function machine for Royal Jubilee Hospital as part of the Victoria Hospital Foundation’s You Are Vital campaign. A pulmonary function machine is used in pulmonary function testing, a comprehensive respiratory testing method that is quick and simple, and essential when diagnosing and treating individuals with respiratory problems. It illuminates everything from asthma and shortness of breath, to chronic obstructive pulmonary disease and disorders of the autonomic nervous system. This critical equipment ensures the Respiratory Department can operate at full capacity; and with over 8,000 patients coming through the Pulmonary Function Lab every year, this new machine will make a significant difference in thousands of patients’ lives. The TB Vets Charitable Foundation serves all of British Columbia by funding respiratory equipment, research and support. The organization raises funds through the TB Vets Key Tag Campaign and other fundraising initiatives. 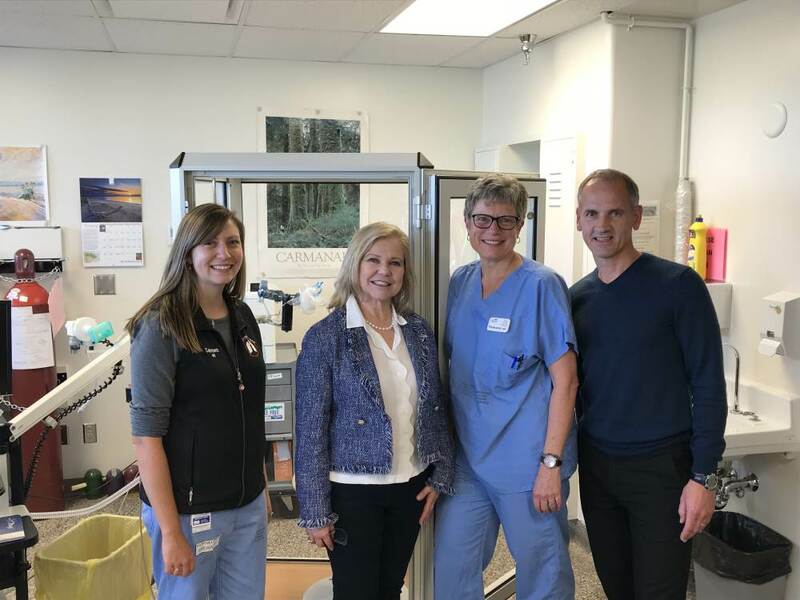 “The need for life-saving respiratory equipment in British Columbia is ongoing and ever-increasing,” says Kandys Merola, Executive Director of the TB Vets Charitable Foundation. “TB Vets is the support system for the frontline of respiratory care in British Columbia.” Since 1982, TB Vets has funded over $1,400,000 of urgently needed respiratory equipment at Royal Jubilee and Victoria General hospitals, helping countless patients receive state-of-the-art respiratory care.